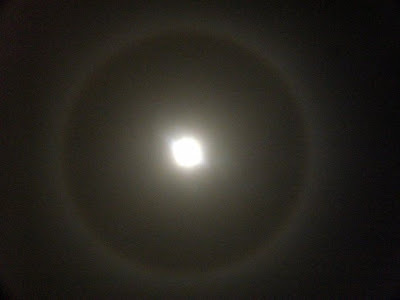 In meteorology, a corona is produced by the diffraction of light from either the Sun or the Moon by individual small water droplets (and sometimes tiny ice crystals) of a cloud. The corona consists of small number of concentric colored rings around the celestial object and a central bright aureole. 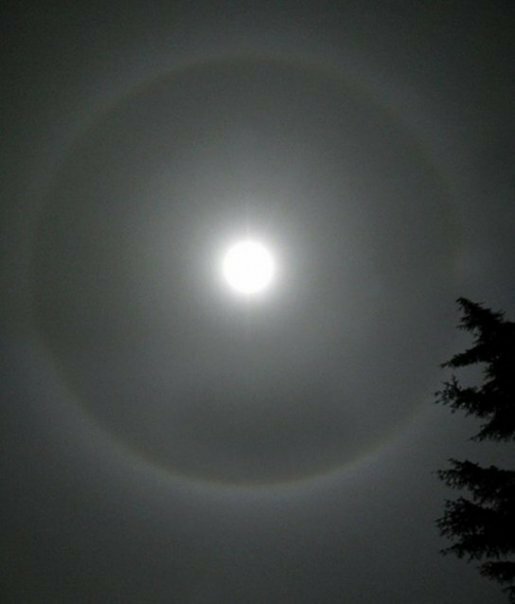 The angular size of the corona depends on the diameters of the cloud droplets - small droplets produce bright coronae. Coronae differ from haloes in that the latter are formed by refraction (rather than diffraction) from comparatively large rather than small ice crystals. Reddish colors always occupy the outer part of a corona's ring. Photos taken by amateur photographers using cell phone cameras.